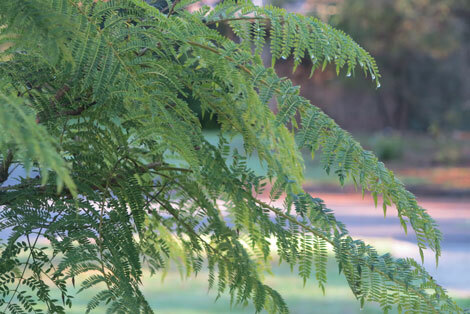 The purple panic is almost here, with Brisbane’s jacarandas – including ours – shortly to break out their lovely lavender blooms, heralding the start of the end-of-year exam season. Actually, any suggestion of a real winter has pretty much vanished where we live, just metres outside the official north-western council border of Queensland’s bustling capital city. Already the days have been impossibly sunny, reaching the mid-20s, with mild evenings and almost every night still well into double figures. We’ve even had a 28-degrees C day … and it’s not even spring yet. Which is a bit of a worry because the earlier months of this year were marked by overly regular rainfall when we thought our yards would never get a chance to dry out. But the past month or two has been so arid that the lawn is now crackling underfoot, our clay soil is cracking open in places and we’ve had to start watering our pot plants three times a week, up from just once a week until a fortnight ago. Consequently, just in case we’re going back into drought, every flowering thing seems to be coming into bloom a little earlier than usual this year and our established groundcovers – such as the tricolour jasmine (trachelospermum tricolour) that features on one side of our driveway – are looking pretty lush. 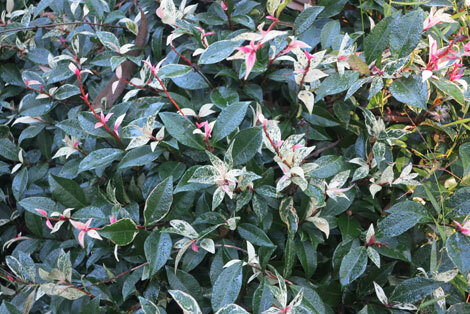 Our bougainvilleas – even the prostrate variegated one nestled in the far north-east corner of our block – have started going berserk, as have the many different syngonium we’ve got dotted around the place. 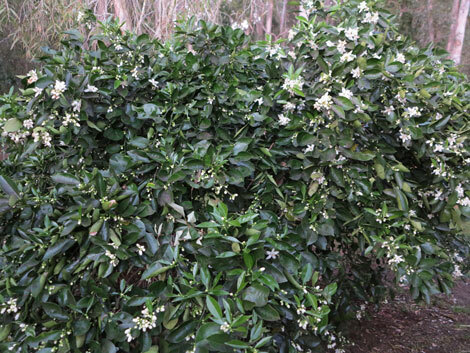 We have lots of citrus at our place: a pair of prolific lime trees, one Tahitian, one Hawaiian; a new lemonade tree; a ‘lots-o-lemons’ in a large pot; and an established navel orange. 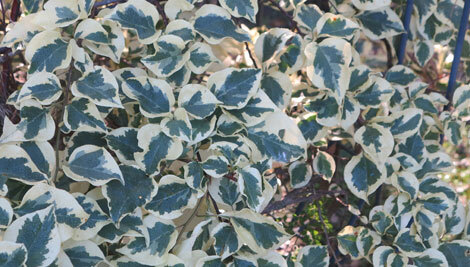 All are madly flowering, the last one so laden with flowers that we’re banking on a bumper crop. 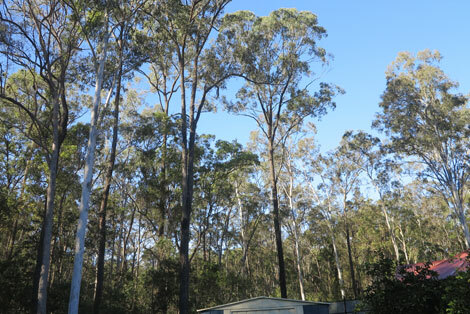 But this burst of warmer, drier weather brings concerns for those living in our region, which is just 13km from the heart of Brisbane in the Moreton Bay Regional Council area that was once known as Pine Rivers. Firstly, up until a few years ago, all of southeast Queensland was grappling with exceptionally tight water restrictions as prolonged drought wrought by the cyclical El Nino weather phenomenon reduced the metropolitan area’s combined water storage to well under 20 per cent. Apart from limiting our showers to four minutes or less – and driving down the per-head consumption of supplied water from nearly 300 litres per person per day to around 140 litres – those trying to keep their gardens going were forced to cart buckets of water to parched plants, only for an hour or so in the evening and not more often than three times a week. 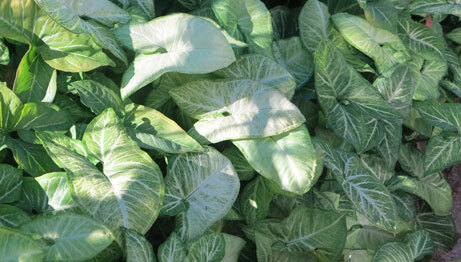 Many tender, water-reliant plants did not survive. Keen gardeners mostly replanted drought-tolerant alternatives. Then the weather did an abrupt turnabout at the end of 2010 when La Nina arrived, building up to devastating floods early the following year that inundated more than 75 per cent of the state. Thankfully, we live slightly north of the river system that fell victim to the after-effects of a deadly inland tsunami which eventually reached the coast, flooding a third of the Brisbane metropolitan area. In the two years since, the region’s rainfall has been mostly above average. And, while earlier this year other parts of the state were seriously affected by summer flooding and severe storms, this region was merely wet … a lot. La Nina, naturally, has put paid to any of the drought-tolerant plants that could not thrive in the almost continuously damp conditions. 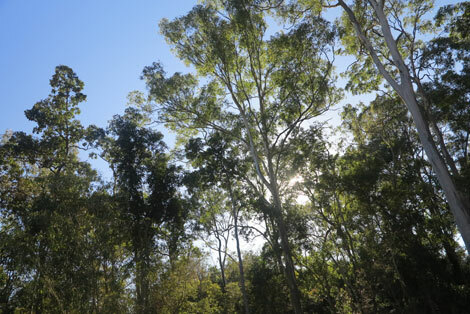 But all that moisture had also fired up the undergrowth in parklands and bush areas, making them greener than they have been for more than a decade. With three sides of our property encased by greenbelt – a lovely nature reserve of dry sclerophyll forest that stretches for several square kilometres – we are now are back to keeping a close eye on how quickly the understory is drying out and dying back, leaving highly flammable material between the trees. Like our yard, the adjacent reserve has mostly clay soil, so the fire access trails that often become impassable by foot or vehicle in wetter months are now rock hard. If this dry spell continues, the threat of fire will be at the front of our minds over the coming weeks and months as the annual storm season unfolds. In the meantime, all our flowering plants are stirring into life, the recent dry snap no doubt kicking on their efforts. 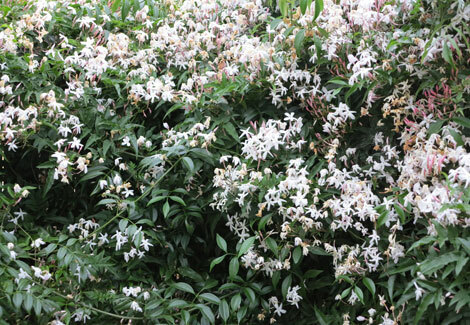 In our southern side yard, the most decadent scent is now wafting into the house from the clambering star jasmine (trachelospermum jasminoides), which only intensifies around nightfall. 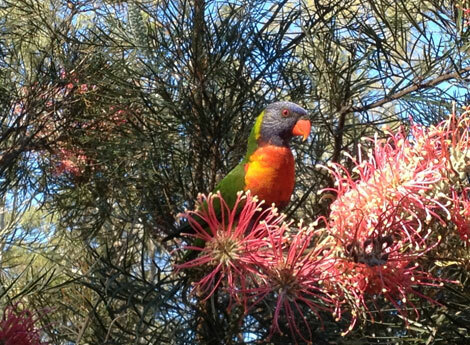 And the chattering rainbow lorikeets have started visiting in numbers, zeroing in on our largest grevillea, which has erupted with its pale red blooms. 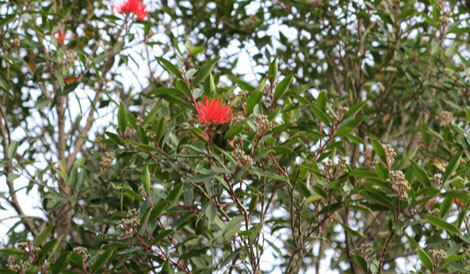 Nearby the showy Fiji fire (metrosideros Fiji) has its first flush of bright red flowers. Soon it will be covered in them. 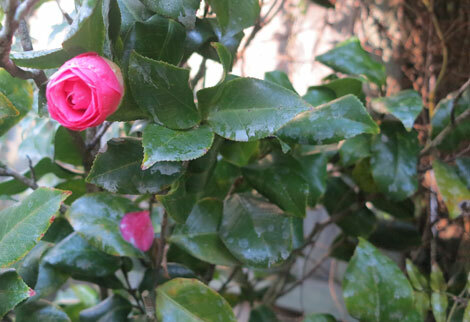 Our pretty pink camellia japonica is relishing in newfound protection from the already harsh sun offered by now-taller surrounding shrubs. It has responded well to the dappled light and more consistent moisture earlier this year, flowering fully for the first time over the past few weeks. 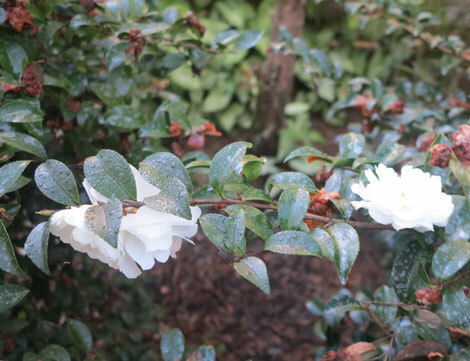 In the same bed, its cousin, a white Mine No Yuki sasanqua camellia, is coming to end of its flowering for the year. It’s been blooming profusely from the outset, but there is no doubt it puts on an extra showing in years where the rainfall is above average. 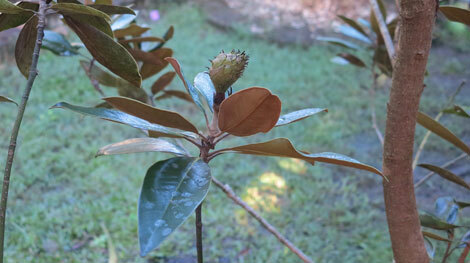 And soon our Little Gem magnolia with its creamy white flowers will be releasing its lemony scent. Our garden is quite eclectic with its mix of flowering perennials, native shrubs, citrus trees, ferns, orchids, herbs, climbers, groundcovers and potted annuals. We even have more than half a dozen rose bushes out the front which are rapidly working their way back from their heavy annual prune. 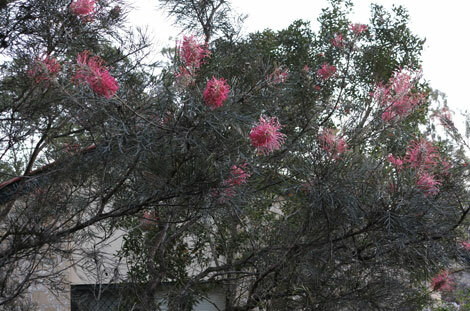 However, this mixed bunch provides us with a nice contrast to its backdrop, the eucalypts, ironbarks and other native trees and shrubs that rise overhead beyond all but our front fence. And our greatest joys are yet to come with the approaching spring and summer, as a wonderful array of native and migratory birdlife begins its new cycle of life. As we look out over the shed in our southern side yard, we can watch them all coming and going, filling our days with glorious birdsong. ← Is aged care lost in Australia’s electoral wilderness?